Hardy mums are great plants for late summer and fall blossoms. Providing rich, bright colors from oranges, butterscotch and bronze shades to reds, plum and yellow. It's hard to decide which colors you're going to choose. You have to see for yourself, these Buckwheats grown mums are absolutely gorgeous. 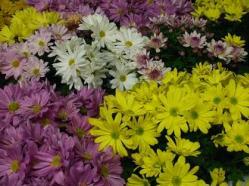 The best time to plant mums is in late summer, early fall. No later than October because the roots need time to establish. However if you do plant later in the season you must incubate the plant with mulch or peat moss. If successful these hardy mums will spread each year and become one of your favorite plants! Good Luck! 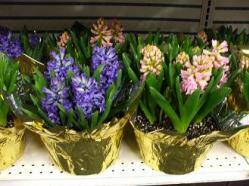 Plant your spring bulbs in the fall for beautiful plants the following spring. 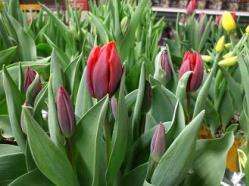 Buckwheats stocks a large selection of tulips, daffodils, hyacinths, iris and crocus. Hurry in, quantities are limited!